The Bellemeade tributary and surrounding neighborhood suffer from disinvestment and lack of a cohesive vision for moving forward. Currently lacking sidewalks, adequate drainage infrastructure, and programmed open space, the Bellemeade neighborhood is home to approximately 5,000 lower income residents and the Bellemeade Elementary School. 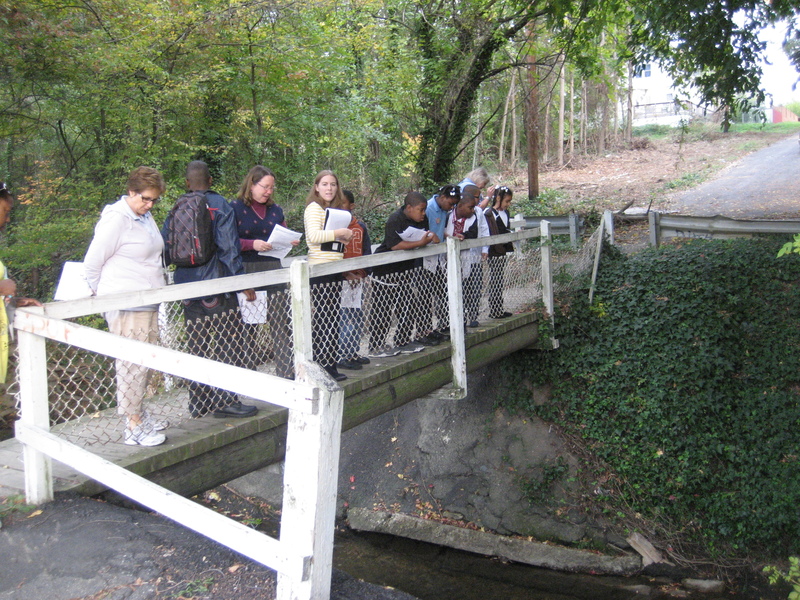 The community is bisected by an impaired and neglected urban creek. The creek could serve as a major revitalizing force if it was restored and embraced as a central asset to the community, along with the adjacent elementary school and community center. 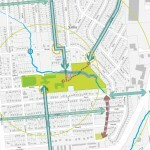 In 2011, Skeo Solutions joined forces with the Green Infrastructure Center and the City of Richmond to develop a vision and plan for a Walkable Watershed in Bellemeade. While watershed planning is not new, Skeo’s approach is unique in linking the concepts of equity, community health, water quality and smart growth. A Walkable Watershed features a well-maintained body of water, along with sidewalks, bike paths, parks and other amenities of a thriving neighborhood. In short, the concept is a creative, effective way to achieve environmental, public health, education and community development goals. 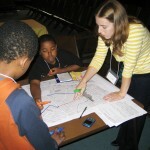 The project brought together community members, non-profits, business leaders and students to develop a Watershed Concept Plan for the Bellemeade neighborhood. 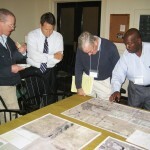 The Plan was developed on a unique framework that identifies strategies within the “schoolshed” and the watershed to improve the health of the creek and the community. Combining innovative planning with community capacity-building and a focus on youth leadership, the project led to a cohesive strategy to improve the overall health of the watershed. Recommendations for watershed improvements that will inform the city’s stormwater planning process, support water quality permit compliance, and help prioritize capital investments to reduce flooding. Student-selected walking routes to the new elementary school to help prioritize sidewalk investments, support Safe Routes to School grant applications, and promote walking to school. Community priorities for the park, which currently contains no infrastructure or neighborhood amenities. Priorities include creek-side outdoor learning environments, watershed education, community gathering amenities, and community gardening. Tremendous partnership building and momentum around improving the quality of life for Bellemeade residents. Inter-department and inter-agency coordination to align and leverage resources for this underserved community. Leveraged implementation funding from multiple sources including state and federal agencies and private corporations. Please click here to download a printer-friendly project summary. Project Sponsors for the Bellemeade Walkable Watershed Concept Plan include Altria Group, the Virginia Department of Forestry and Skeo Solutions. Project partners include City of Richmond Stormwater Utility and the Green Infrastructure Center. The community continues to implement strategies identified in the plan, updates can be found here.